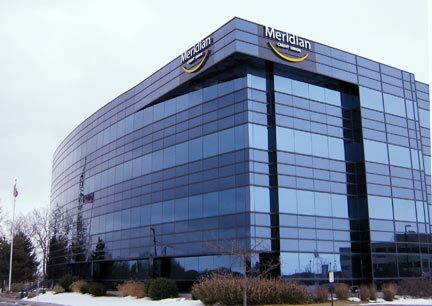 With Meridan Credit Union’s refusal to offer its broker partners access to its record-low rate promotion, several players are suggesting a boycott. However, as others have pointed out, the promotion is a good play by Ontario’s largest credit union, which will look to cash in on the renewal business. Meridian announced last Thursday it is offering an 18-month fixed-rate mortgage at 1.49 per cent, stoking the flames of the rate war. It’s the lowest posted mortgage rate in Canadian history. Although several brokers quickly applauded the product, Diane Medeiros, manager of media and stakeholder relations told MortgageBrokerNews.ca that the rate is only available through the branch network. This isn’t the first time Meridian has offered special promotional rates exclusively in-branch. A year ago the credit union offered a 2.99 per cent five-year fixed through its branch. "We do have … a pretty competitive rate available for brokers," Bill Whyte, chief of member services at Meridian Credit Union told MortgageBrokerNews.ca at the time. "Where we focus for brokers is on niche mortgage products – that’s business-for-self mortgages, construction mortgages." I don't agree with Jackson that MCU will renew 75-80% of borrowers. If you're a good broker you can come up with a strategy. We know MCU's rates are not the cat's meow on a day-in-day-out basis, so educate your client who goes into this mortgage and be on them like a fly on fruit. At renewal time you can offer to move them and get a much better deal. That being said, I don't think MCU will flinch and suddenly feel the effects of brokers not dealing with them. As a CU I don't think they are as broker-focused as others, therefore this may actually end up hurting broker channel since they may just shut it down anyways if this is how brokers react. The real danger here for us brokers is that this could be the start of mortgages becoming a loss leader. The Credit Union is willing to take a loss to increase market share. Those of us that only sell mortgages (ie. not diversified into any other related business) will certainly suffer if this idea gets traction with other lenders. Meridian are perfectly entitled to offer whatever they want at the branch level. They don't owe us anything. It is a privilege to be able to access their products, as they often fill a void other lenders cannot, and we don't complain then. It's not like a monoline is holding back a special offer - MCU is a full service FI - to complain or boycott would be very short sighted.